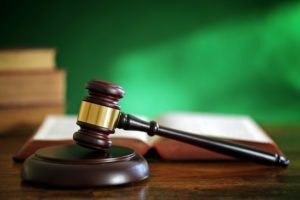 Nashville Truck Wreck Lawyers and Attorneys | Law Office of George R Fusner Jr.
Who is the Best Truck Wreck Lawyers in Nashville, Tennessee? The Law Office of George R. Fusner, Jr. is a Nashville, Tennessee truck wreck lawyer who works closely with victims and families who have been hurt in tractor-trailer and large vehicle accidents. Truck companies and commercial vehicles are required to abide by strict laws and regulations. When truck companies cut corners, or when drivers make mistakes, the consequences can be serious. Victims can sustain catastrophic injuries from traumatic brain injury to spinal cord injuries. If you’ve been hurt in a truck wreck in Nashville, Tennessee, you may be wondering who is the best truck wreck lawyer for you. Truck accident law can differ from regular vehicle accidents because truck drivers must abide by strict federal hours of service laws and other federal and local regulations. You need a qualified lawyer who understands the law and who can apply it when the law was broken to help you seek the damages you may deserve. Truck companies may also carry higher insurance policies than passenger vehicles. Some of these policies can be as high as $1 million. Sometimes insurance companies may offer victims a lower settlement in the hope of saving money, but with a truck accident lawyer on your side, you may be able to seek the full value of damages you could be entitled to receive. The truck industry is also a big business. Truck companies make billions every year and they may have teams of lawyers working on their side, protecting their interests. If you or a loved one was hurt in a truck accident in Nashville, Tennessee, consider reaching out to the Law Office of George R. Fusner, Jr. today. Our truck wreck law firm offers compassionate and caring guidance to victims and families. Did a Truck Driver or Company Break the Law in My Accident? There are many laws that truck companies must follow. The U.S. Department of Transportation and the Federal Motor Carrier Safety Administration sets the rules and regulations that truck drivers and companies must abide by. When companies break the law, they can face consequences from the government, but they can also face lawsuits from victims who are hurt in truck accidents as well. What are some laws truck companies must follow? Federal Hours of Service Laws. Truck drivers must limit how long they are on the road. Driving for long periods of time without sleep or rest can result in fatigue which can lead to accidents. The government regulates how long drivers can operate their vehicles and when they must take rest breaks. Drivers are required to log their hours. The Law Office of George R. Fusner, Jr. is a truck wreck attorney in Nashville, Tennessee who can review your driver’s logs and shipping and delivery schedules to see whether these regulations were broken. Commercial Driver’s Licenses. Drivers must meet strict requirements in order to hold commercial driver’s licenses. For example, they must meet strict medical requirements. Truck companies may have a responsibility to vet the drivers they hired to ensure that they have clean driving records and are compliant with the laws regarding medical compliance. 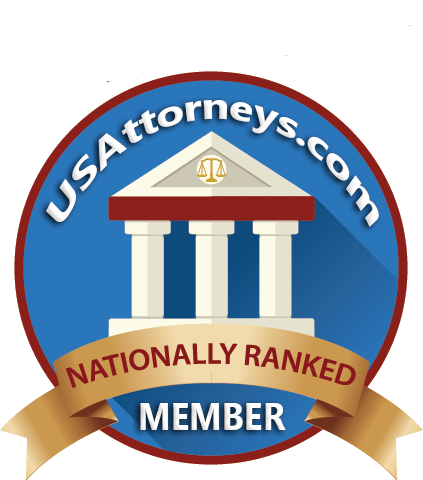 The Law Office of George R. Fusner, Jr. is a tractor-trailer wreck attorney in Nashville, Tennessee who can review driving backgrounds. The firm can also ask drivers whether they were taking certain medication that might have interfered with their driving. Weight Limits. The law sets limits on how much weight a truck can carry. When trucks are overweighed, drivers can lose control of their vehicles or the truck may not be able to stop in a timely manner. The more weight a truck carries, the longer it could take to stop. If you or a loved one was hurt in a truck accident because the driver could not break or stop, the Law Office of George R. Fusner, Jr. is a truck wreck law firm who can investigate why this accident occurred. Maintenance Requirements. Truck companies have a responsibility to keep their vehicles in prime working order. Failure to do this can result in major accidents or risks. Brakes can fail, tires can blow, and other mechanical issues can lead to truck accidents. If you believe a truck company cut corners and this led to your accident, contact the truck wreck law firm at the Law Office of George R. Fusner, Jr. today. Hazardous Waste. There are additional regulations in place regarding the transport of hazardous waste. Truck companies must follow specific guidelines. If you or a loved one was hurt due to hazardous waste exposure because of a truck accident in your neighborhood, the Law Office of George R. Fusner, Jr. may be able to help. Hazardous waste spills can reduce property values, poison the water supply, and lead to health issues. You may be able to seek damages for your lowered property values or health issues. 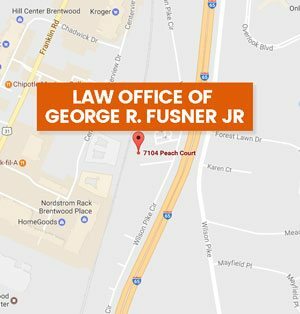 The Law Office of George R. Fusner, Jr. is a truck wreck lawyer who offers compassionate and caring counsel to victims in Nashville, Tennessee. Truck drivers and companies may have lawyers representing their interests after a crash. You need someone on your side, too. You may only have a limited amount of time to make a claim following a truck crash in Nashville, Tennessee. Truck accident claims can be more complex because they may involve more stakeholders and laws. You need a lawyer on your side who understands the complexity of truck accident law and who can apply it to your case. The Law Office of George R. Fusner, Jr. fights for the rights of the injured. If you or a loved one has suffered spinal cord injury, traumatic brain injury, internal injuries, post-traumatic stress disorder, or another serious injury due to a truck accident, our firm can help. 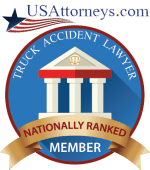 Who is the best truck wreck lawyer for your case? Find out today. Reach out to the Law Offices of George R. Fusner, Jr. in Nashville, Tennessee.